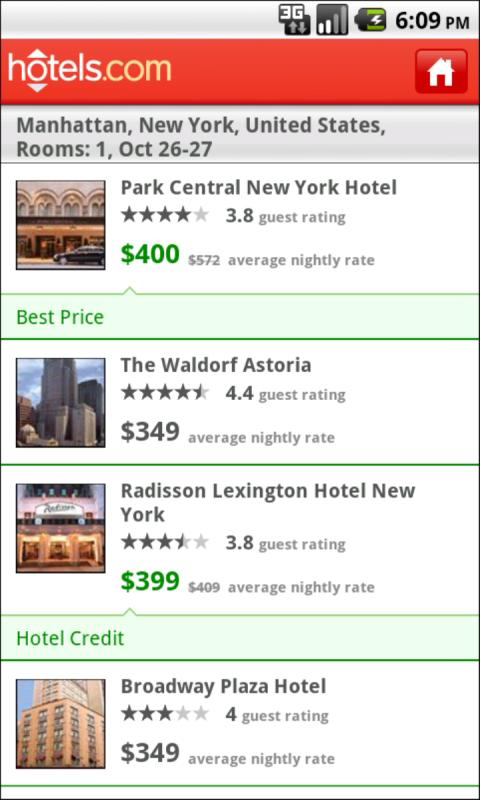 Hotelsdotcom for Android - The Hotels.com app provides you the best interactive hotel booking experience using all your smartphone's great features. *Introducing 'Tonight's Local Deals', an exclusive new feature which provides special daily deals, only available to Hotels.com mobile users. *Find and securely book 140,000+ hotels throughout 200 countries. *Access more than 20,000 last minute deals. 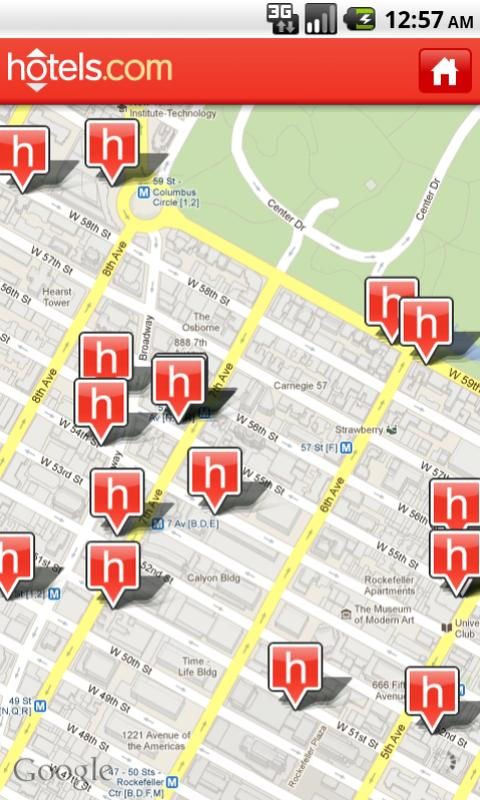 *Search for hotels close to where you are as well as searching using an interactive map. *Access your past, current and future reservations, even when offline. *View your hotel's location with just one touch. *Sign in once then there is no need to re enter your email and password. 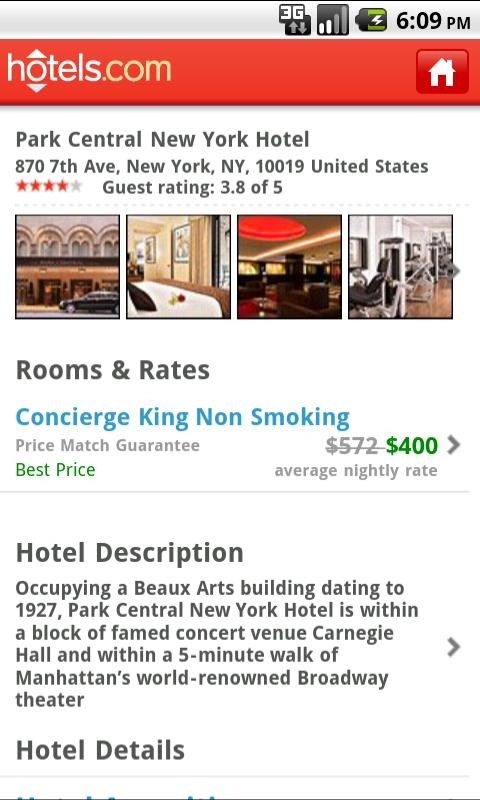 No Hotels.com account? No problem, you can create one within app or book as a guest user. *Benefit from Hotels.com WelcomeRewards (buy 10 nights and get 1 free). All bookings made on the Hotels.com app (at eligible hotels) will count towards your WelcomeRewards account, which can be viewed via the app.